Looking to buy a used GM car, truck, or SUV? Come to Harvest Chevy for the largest selection of used Chevrolet inventory in Washington’s Yakima Valley. Our used car dealership near Ellensburg, Sunnyside, & Union Gap has a variety of pre-owned cars, trucks, & SUVs made by brands, Chevy, Buick, Cadillac, & GMC. Unlike other used GM dealers in Yakima, we use appraising tools like CarGurus & KBB to determine the vehicle’s price. Thus, you can guarantee that your used Buick or certified pre-owned Chevy was an excellent deal. From our multi-purpose SUVs to our powerful lineup of trucks, you’ll find the perfect vehicle at our used Chevrolet dealership. If you’re looking to save money on your next pre-owned GMC, check out our used vehicle specials for huge discounts on popular models. For those of you that like the comfort of a factory warranty, take a look at our certified pre-owned GM vehicles that all come with a 6-year/100,000-Mile Powertrain Limited Warranty. Whatever you’re after, you can rely on our team to help you find the perfect car for you and your family. As soon as you arrive at our GM dealership in Washington, you’ll be greeted by Central Washington’s largest group of Chevy experts. We aim to provide friendly, personalized service for every one of our shoppers to ensure an exceptional dealership experience! At Harvest Auto in Yakima, our inventory is priced to sell. Our wide selection of Chevy inventory has the perfect fuel-efficient car for your needs. After you find the right car, truck, or SUV, we’ll work with you to get the best value for your trade and package together the best financing deal in town. 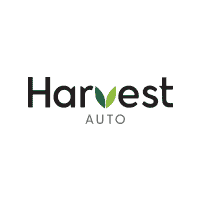 For more information on our current inventory, or to schedule a test drive with us, be sure to contact us online or to call the Harvest Auto team at (509) 248-7600!